Published by Knopf in 1946 as an expanded version of a two-part New Yorker article. Joseph Wechsberg and his wife left Czechoslovakia for America in 1938. 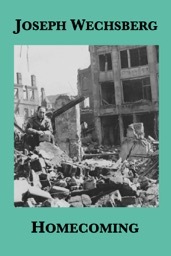 Sent with the US Army to liberate Europe from the Nazis, Wechsberg returns to Ostrava, the town where he grew up. Searching for his wife's parents, he discovers the devastation of World War II, hears first-hand accounts of its atrocities, witnesses the antics of Red Army soldiers, and remembers his childhood — discovering in the end that home is no longer Ostrava, but California.